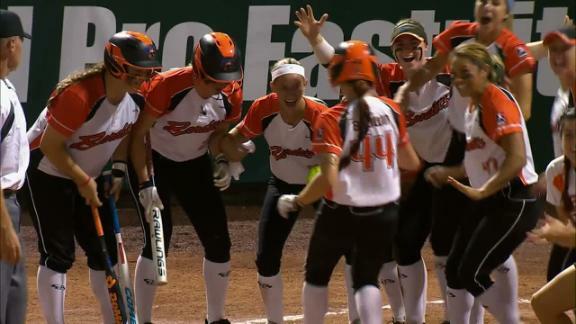 The Bandits defeat the Pride 2-1 to win the National Pro Fastpitch title. The Bandits defeat the Pride 11-5 to force Game 3 of the NPF Championship Series. TUSCALOOSA, Ala. -- If a particularly brave soul could have made good money betting on the Chicago Bandits to even reach the National Pro Fastpitch championship series, as their coach suggested of a team that had a losing record in the regular season, imagine the fortune available in predicting the identity of the pitcher who would make them back-to-back champions. 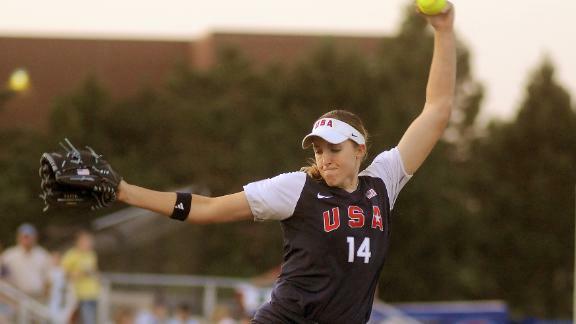 Not Monica Abbott, the pitcher who led the Bandits to a title a year ago and then departed. Not Jennie Finch, the retired ace whose name adorns the street outside the team's stadium. Not even a pitcher who was on the team's roster, or any NPF roster, when the season began. But for a night, Angel Bunner was the only pitcher who mattered. Angel Bunner survived the potent Pride lineup Tuesday night, inning after inning after inning. For six innings, Bunner kept the best lineup in the sport at bay and got the better of far her more recognizable counterpart in the pitching circle, Keilani Ricketts. Released by the Pennsylvania Rebellion before the start of the 2015 season and still out of work as this season began, Bunner had as much to do with a 2-1 win over the USSSA Pride in a winner-take-all finale as any player on the field Tuesday. Without a player who waited so long to make it back to the league, the Bandits wouldn't be back-to-back champions. 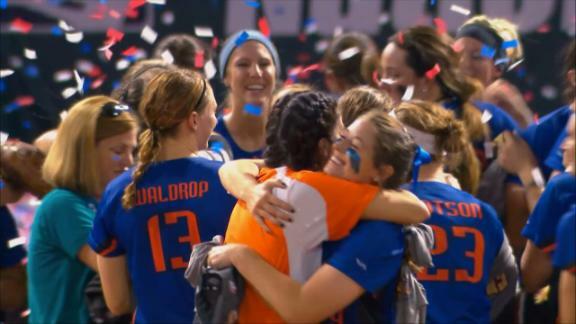 "It's a dream, so of course I would imagine it," Bunner said of her journey to a confetti-strewn field and a trophy. "But making it a reality was a lot different." Bunner worked six innings, the longest stint of any pitcher on either team in the best-of-three championship series. She allowed eight hits but just a solitary run. Most Valuable Player honors deservedly went to Bandits outfielder Brittany Cervantes, the veteran cornerstone who followed Taylor Edwards with the second of back-to-back home runs in the top of the third inning this night and hit .500 in the postseason. But a day after the Bandits talked about using all available arms to try to get through seven innings against the regular-season champions, they kept giving the ball back to Bunner. Inning after inning after inning. "We talked last night, and we said once through the order and then maybe a couple of lefties," Bandits coach Mike Steuerwald said of the Bunner plan. "We had six of our seven pitchers hot pretty much from the fourth inning on. It was talking to Bunner and talking to [catcher Edwards]. Part of it is the relationship we've built even in her short time here. I've learned to trust her. She's learned to trust me. And if she can't go another batter, come talk to me." It sounded as if the very first batter Bunner faced had hit a ball bound for the seats beyond the outfield fence, but that blast from Megan Wiggins in the bottom of the first inning tailed into a routine fly out on a stifling night when, Edwards and Cervantes aside, the ball didn't carry. There was more of that each time the Pride batted, fly balls to the warning track and line drives ripped right at fielders. Bunner didn't dominate. She persevered. "But she did a great job against ScrapYard, and she did a good job tonight, too." The story of Chicago's season was destined to be about pitching, no matter how unlikely it was that Bunner would emerge the protagonist in the end. The Bandits lost more than Abbott after last season's title. 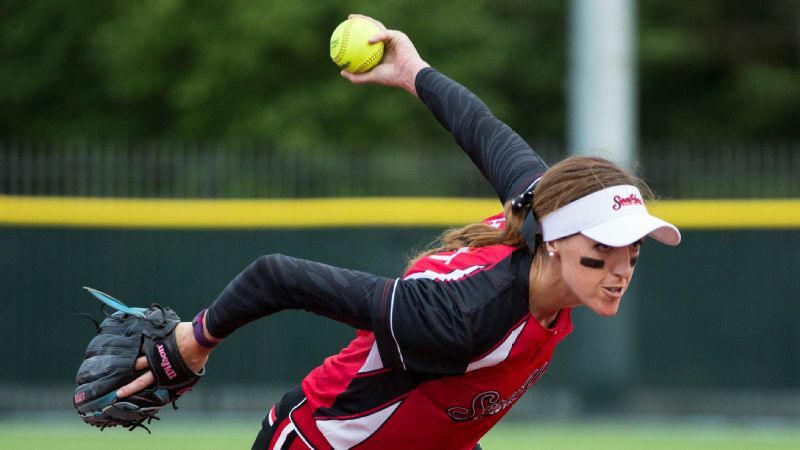 Longtime standouts Amber Patton and Tammy Williams retired, but it was the best pitcher in the sport leaving for a million dollar contract with the expansion ScrapYard Dawgs that seemed likely to define her former team's season for better or for worse. After a decent start to the season, the Bandits stumbled to eight losses in nine games as June came to a close, the last five losses by a 51-3 margin. It was at that point that they reached out to Bunner, nearly two calendar years removed from her most recent NPF innings. "Signing her was probably a big key to turning our season around," Steuerwald said. "Obviously losing Monica [after] last year is a big dent to your pitching staff. And we weren't playing good softball at the time, so we needed to do something. She was someone we've discussed in the past bringing in and just wasn't a fit in previous seasons with teams we had at that point." "We had the thought that she's been out for a year, she's probably ready to go. Maybe not physically as much, but she wants to get after it again. We needed a bit of that on this team." Now 26 years old, Bunner was living at home in Florida with her parents while waiting for another start. She never made the mental transition to a post-softball life. She wanted to keep playing. She reached out to teams, and Steuerwald said players in the league reached out on her behalf. "It was hard," Bunner said. "I mean, I love the sport. And I'm dedicated to a team, and I want a team to be dedicated to me. So it was really hard when I got released. But if that's what they felt was best, then that's what they needed to do." 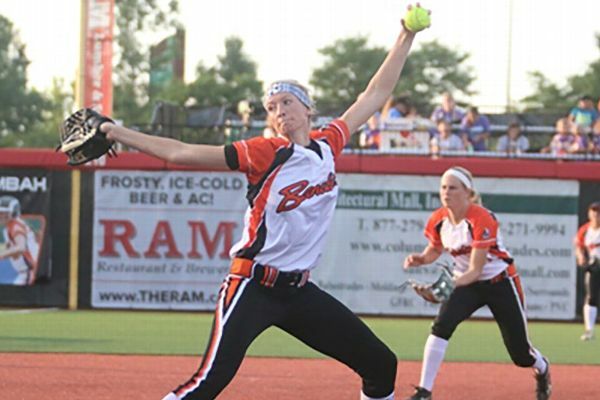 In her first game back, Bunner gave up hits to the first three batters she faced against the Akron Racers. She gave up eight hits in less than three innings. But with some help from the pitchers who followed her, the Bandits still won that game. She finished the regular season with just one win but had one of the best ERAs on the team. So when it came to the decision of who to start Tuesday night, the choice was the same as it had been two days earlier in an elimination game against Abbott and the Dawgs. "I'm not going to lie, I'm not normally nervous, but I was extra nervous," Bunner said of Tuesday. "I had a group of pitchers standing behind me, and the first thing they said to me when we got here was 'No matter what happens, we all got your back.' So going into the game, I just used that mentality that if I got into trouble, I knew there was another pitcher coming in behind me." Except that none of them did, not until rookie Shelby Turnier entered in the seventh -- Bunner the first to give her a high-five as she took the field. So good throughout the postseason, Turnier retired the Pride in order in the seventh for her second save in as many days. 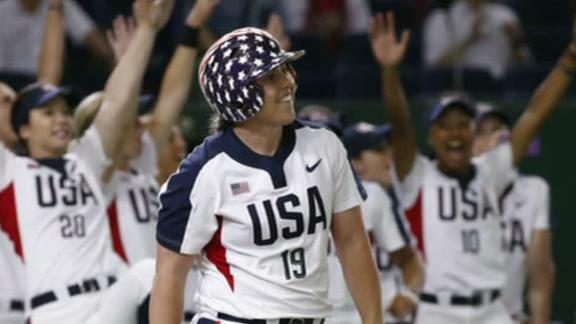 The game ended with Kretschman on deck, the one batter who got to Bunner all night, waiting for another chance in the stadium that didn't even exist when she first arrived at Alabama as a college freshman two decades ago. There was no one better equipped to put into perspective the most recent installment of the best rivalry that not enough people in sports know about. Players from both sides made the same comparison, the Pride as the New York Yankees and the Bandits as the Boston Red Sox from the height of that rivalry a decade ago. 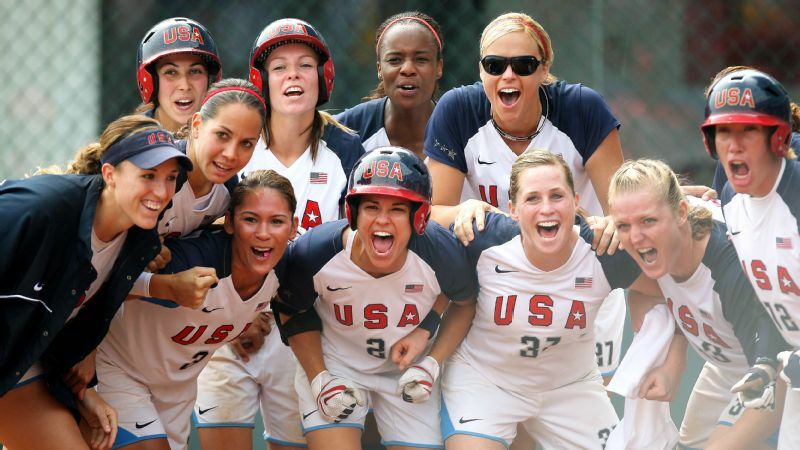 It's what we do, finding a more familiar comparison point to explain women's sports. But the truth is this rivalry stands on its own. The mutual respect and mutual dislike of perfect foils. "I would have liked to be on some other ends of wins, but you've got to enjoy [it]," Kretschman said. "I think this is probably the most fun championship I've played in my entire time being in this league. Because it wasn't about who's pitching on their team and who's pitching on [our] team. It was about two great teams going at it and what best team was going to win it. Not who was pitching. I think that's a huge difference in what's gone on in the league in the past." It was a game in which a pitcher entered anonymous and earned her headlines. Which in its own way summed up how a group of 23 players earned a championship together.